1) (Craigmillar, co. Edinburgh, bart., 1683; the dau. and heir of the fourth and last bart. m. William Little, of Libberton). Az. a chev. betw. two fleurs-de-lis in chief or, and a writing pen full feathered in base ar. Crest—A garland of laurel ppr. Motto—Perseveranti dabitur. 2) (Little-Gilmour, of Craigmillar and Libberton, 1811). Quarterly, 1st and 4th, as the last; 2nd, sa. a saltire ar. charged with a crescent gu., for Little; 3rd, gu. three bears’ heads erased ar. issuing out of the dexter base a lance, and out of the sinister base a Lochaber axe, both in pale and of the last, for Rankine. Same Crest and Motto. Supporters—Two hawks rising ppr. 3) (Townsend, co. Lanark, 1754). Az. a chev. ar. on a chief of the second a fleur-de-lis betw. a writing pen full feathered of the first in the sinister, and a bible sa. on the dexter, in base a trefoil vert. Crest—An old Gothic church window ppr. Motto—In limine ambulo. 4) (South Walton, co. Renfrew, 1869). Ar. on a chev. betw. three trefoils slipped vert as many hunting horns stringed of the first. Crest—A dexter hand fessways couped, holding a writing pen ppr. Motto—Nil penna sed usus. 5) (Eaglesham, co. Renfrew). As the last, with the chev. engr. for diff. Same Crest and Motto. 6) Argent, a bend gules, three estoiles of the field. (The Encyclopaedia Heraldica,William Berry, 1828). 7) Az. a chev. erm. betw. three talbots, passant, ar.-Crest, a unicorn’s head, ar. couped gu. attired or. (The Encyclopaedia Heraldica,William Berry, 1828). 8) Az. three writing pens, paleways, ar.-Crest, a dexter hand, holding scroll of papers, within a garland of laurel ppr. (The Encyclopaedia Heraldica,William Berry, 1828). This last name has three origin theories. First, this is a locational name meaning “of Gillmore”, which was a hamlet in the parish of Bishop Thornton in county Yorkshire. Second, it may be a baptismal surname meaning “the son of Gilmoir”, the Scotch personal name Gilmory or Gilmoir, meaning “servant of Mary”. Another source states the personal name it derived from was Gillemore, a Gaelic name, meaning follower or henchman of the chief, or one who carried the chief’s broadsword, coming from the words gille (servant) and mor (large or great). Third, it may be a surname that derives from the Irish personal name Mac Giolla Muire. One author states that it comes from the Gaelic Gille-mohr, meaning “great servant” and it referred to a person who was the armor-bearer of the Highland chief, and was a person who was selected for said position based on his strength and size. 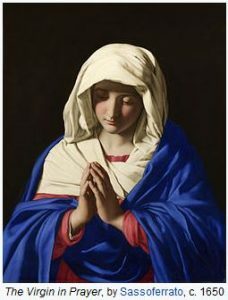 Another author states it was a named of a devotee of the Virgin Mary in the Christian religion, and that the family lived on the English /Scottish border among the Strathclyde-Briton people. Yet another source states it derives from the Olde English personal names Gyolingas or Getlingas, meaning “people of Getta”, combined with the suffix mor, meaning moor or marsh. One website discusses Gillander the Great Chief of Cumberland who lived in 1140 AD, and had a son with a name meaning “Gill the Big”. The Gilmours are part of clan Morrison of the Isle of Lewis. Common spelling variations of this last name include: Gilmore, Gillmor, Gillmore, and Gilmur. The first documented bearer of this surname was Richard Gilemore, who was recorded in the Feet of Fines of Huntindonshire in 1228 AD. A one Gilamore filius Gilandi and his cousin Gilamor were recorded in the Rotuli Litterarum Clausarum in Tyrri Londinesi and Valor Exxlesiasticus. A one Margaret Gilmer was baptized in 1586 at St. Dunstan’s Stepney in London. The book “A genealogical history of Irish families” discusses the Gilmore family in some detail. It states the Gilmore or McGilmer family is descended from Milesius, (mythical?) King of Spain. It was founded by Laoisearch Kean More, the son of Conal Kearnach, the well-known warrior. The name was anciently spelled Guilla More, and means “The Great Boy”. The clan held lands in the counties of Donegal, Down, and Antrim, where they held the districts of Ards. 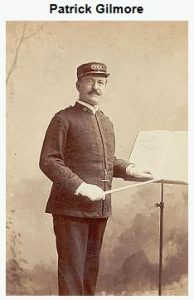 The prominent musician and bandleader, Patrick Sarsfield Gilmore of New York, was from this line. The famous genealogist Bernard Burke’s book “Peerage and Baronetage” discusses two branches of this family: Gilmour of Liberton and Gilmour of Lundin. The first begins with a discussion of Sir John Little Gilmour, 2nd Baronet, of Liberton and Craigmillar in county Midlothian, who was a Lieutenant Colonel of the Gren. Guards. He was born in 1899 and succeeded his father in 1939. In 122, he married the Honorable Victoria Laura Cadogan and had children with her: Ian Hedworth John (1926) and Diana (1923). He later married Lady Mary Cecilia Rhodesia Kenyon-Slaney, the eldest daughter of 3rd Duke of Abercorn, and had one son with her: Alexander Clement (1931). Burke traces the lineage of this branch back to Sir John Gilmour (the son of John Gilmour, who held lands in Lochmalonyt in Fife, and grandson of John Gilmour who in 1580 held lands near Aucthermuchty in county Perth). He was baptized in 1605 and acquired the Barony of Craigmillar in 1628. He was married four times. His third wife was Margaret, the eldest daughter of Sir Alexander Murray, Baronet of Blackbarony. He received Knighthood in 1650 and was elected a Member of Parliament for Edinburgh. He died, having twenty children. He was succeeded by his only surviving son: Sir Alexander Gilmour. Alexanser was baptized in 1657 and was created a Baronet in 1678. He was elected a Member of Parliament for Edinburgh, Scotland, in 1698. 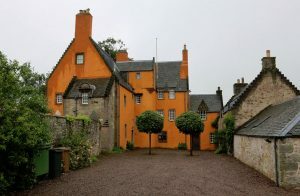 He married Honorable Grizel Ross, eldest daughter of George, the 11th Lord Ross of Melville, and with her had two children, only two of which survived him when he died in 1731. One was Sir Charles Gilmour, of Craigmillar. Charles was a member of Parliament from 1737 until 1750 (when he died). Hr was also one of the Lords of Trade and Plantations. In 1733, he married Jean, daughter of Sir Robert Sinclair, and had one son who survived him: Sir Alexander Gilmour, Baronaet of Craigmillar, who was an Officer in the 1st Guards. He fought in France and was taken prisoner there in 1758. He was elected to Parliament and served from 1751-1774. He died in 1792 and the Bronetcy and main line of the family became extinct. The succession then developed on to William Charles Little Gilmour, the 10th Laird of Liberton, who was the great-grandson of the 1st Alexander Gilmour and grandson of Sir Alexander’s daughter, Helen Gilmour. He assumed the surname Gilmour. In 1763, he married Jean, daughter of Robert Clerk, and had six sons and three daughters with her. He passed away in 1797, and was succeeded by his eldest son: Walter Little Gilmour. Walter was a Lieutenant in the 26th Regiment. He was born in 1764 and in 1805 he married James Anne Macdowell, heiress of Canonmills and had issue with her, including his Walter James Little. Jane married Robert Gordon in 1828, and the only surviving son Anne. Anne married George Hermand Fergusson in 1841. Her only daughter and heir was Anne Gordon, heiress of Hallhead and Esslemont. In 1856, she married Henry Perkins Wolridge, son of Colonel John Wolride. Their eldest son was Sir Robert, created a Baronet. Mr. Little Gilmour died in 1807 and was succeeded by his son: Walter James Little Gilmour. He died in 1887 and was succeeded by his grand-nephew: Sir Robert Gordon Gilmour, the 1st Baronet. Robert served in the Zulu War in 1879 and also served in World War I. He held several notable positions and titles. He married Lady Susan Lygon in 1889 and had issue with her: John Little Gilmour (previously discussed), Mary, Margaret, and Grizel. He died in 1939 and was succeeded by his only son. The second branch mentioned in Burke’s Book begins with a discussion of Sir John Edward Gilmour, the 3rd Baronet, who was of Lundin and Montrave in county Fife. He was a Lieutenant Conel in World War II and a members of the Royal Company of Archers. He was born in 1912 and succeeded his father in 1940. In 1941, he married Ursula Mabyn, daughter of Frank Oliver Wills, and had two children with her: John (1944) and Andrew Frank (1947). Burke traces the lineage of this family back to John Gilmour of South Walton, who married Margaret Urie. They had a son named Allan Gilmour, who was of Montrave and Lundin, as well as South Walton in county Refrew, Glasgow, and sometimes Quebec, Canada. He was born in 1805 and in 1839 he marries Agnes, daughter of John Strang, and had five issue with her: Sir John (1st Baronet), Allan (1848), Mary, Agnes, and Margaret. He died in 1894 and was succeeded by his eldest son, Sir John Gilmour, 1st Baronet, J.P and D.L for county Fife. He was born in 1845 and was created a Baronet in 1897. 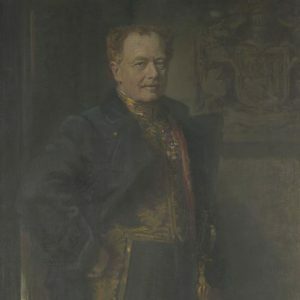 He married Henrietta, daughter of David Gilmour of Quebec, and had issue with her: Allan (1874), Sir John (2nd Baronet), Harry (1878, became Captain of 16th Lancers), Ronald Farquharson (1888), and Douglas (1889, 2ND Lieutenant of 7th Seaforth Highlanders). He died in 1920 and was succeeded by his second son: The Right Honorable Sir John Gilmour, 2nd Baronet. He held numerous titles and positions, including being dispatched to South Africa, and serving in Egypt and Palestine during the First World War. He married Mary Louise in 1902 and had the following issue with her: John Edward (3rd Baronet, mentioned above), Anne and Margaret. His second wife was Violet Agnes, daughter of E.T Lambert. They had children as well:” Daphne Mary (1922). Burke’s other book “The Landed Gentry” discusses another branch of this family: Gilmour of Eaglesham. It begins with a discussion of Allan Gilmour, Esq. of Eagelsham House in county Renfrew. He was born in 1820 and succeeded his uncle Allan Gilmour in 1849. In 1850, he married Isabella Buchanan, the daughter of William Ewing of Dunoon, and has children with her, including a son named Allan born in 1851. His eldest son was James Gilmore, who married Clementina, the daughter of John Stuart. Early settlers to America with this last name include William Gilmour (New Jersey 1685), Alexander Gilmour (Phildelphia 1774), Ann Gilmour (Delaware 1803), and Mary Gilmour (New York 1812). James Allen Gilmour was born in 1847 in Norwich, Connecticut. He married Emily Hollister in 1874 and left three issue with her: Walter E., Marion Alice, and Harley James. Walter E. was born in 1879 in Edinburg, Ohio and passed away in 1919 in Lockport, New York. The family mottoes include: 1) Perseveranti dabitur, meaning “It will be given to the persevering”, 2) In limine ambulo, meaning “”, and 3) Nil penna, sed usus, meaning “Not the quill, but its use”. Famous people with this last name include: 1) Doug Gilmore (1863) who was a Canadian Hockey player who played for seven different teams in the National Hockey League, 2) Alan Gilmour who was a librettist and playwright, and 3) Clydle Gilmour (1912-1997) who was a Canadian print journalist and broadcaster.